Did you know you can have a private candlelit dinner inside Angkor Wat after the day’s hordes have left, then stroll through the temples alone? Did you know you can visit the finest artisan workshops in Florence—those not open to tourists—to see leatherworkers, silversmiths, and jewelers ply their craft the same way they have since the time of the Medicis? Did you know you can take private polo lessons from the pro team at one of Argentina’s oldest estancias and best polo fields? 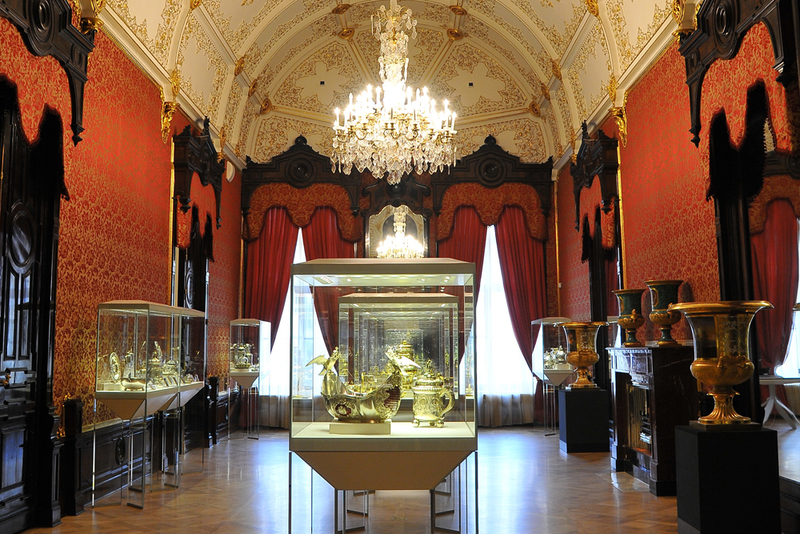 Did you know you can have a private after-hours tour of the world’s largest and most significant collection of Fabergé eggs, in St. Petersburg’s Shuvalov Palace, with the lead curator? There are two more T&C Travel trips I’m fantasizing about. An eight-day vacation in Oaxaca, Mexico, arranged by Mexico Trusted Travel Expert Zach Rabinor, starts with four days in the city, followed by four in a villa with access to a private beach. It’s a trip that’s sophisticated enough for adults (extraordinary Mexican cuisine; artisan culture; the world’s best mezcal) while also great for kids (arts and crafts; activities from white-water rafting to surfing; the world’s best hot chocolate). So there’s something for everyone. The other trip I’m fantasizing about is an Egypt adventure that includes six days in the Western Desert and its oases—Farafra and Bahariya (where the White Desert contains pure white, weird remnants of marine creatures from the Cretaceous period, sculpted by the winds over millions of years) and spectacular Siwa (where the Great Sand Sea contains the sand dunes of every Arabian fantasy). Because Egypt is empty of tourists right now, it’s a nonpareil time to go; and if your trip is organized properly—by Egypt Trusted Travel Expert Jim Berkeley—you needn’t worry about safety. The T&C Travel launch issue was masterminded by Klara Glowczewska, formerly my editor in chief at Condé Nast Traveler, and several of the articles were written by Deborah Dunn, Condé Nast Traveler’s former features editor who is now content director here at WendyPerrin.com. Debi curates our Insider’s Guides; if you’re wondering why they read so well, that’s all thanks to Debi and her team. If you can’t find the extraordinary experience you’re looking for in T&C Travel, by all means peruse our Insider’s Guides for destinations worldwide. You’ll learn you can track rhinos with a researcher in remotest Namibia; go gallery hopping in Rio with one of Brazil’s most famous artists; in Costa Rica, dine with the Nobel Peace Prize laureate who brokered the peace agreement that ended the Nicaraguan civil war; or, in Istanbul, have the entire Hagia Sophia all to yourself. And if you can’t find the extraordinary experience you’re looking for in our Insider’s Guides—and you’re wondering who on earth can deliver your dream—just click over to Ask Wendy. I’ll reply as soon as I’ve finished imbibing this T&C Travel article on the geopolitics of the martini.